Below you’ll find programs, websites, and books to further your study of play therapy and childhood trauma. Ending therapy in an appropriate and meaningful way is especially important in work with children and adolescents, yet the topic is often overlooked in clinical training. 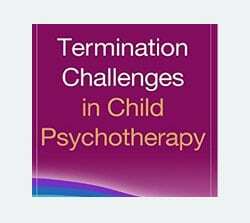 From leading child clinicians, this much-needed book examines the termination process--both for brief and longer-term encounters--and offers practical guidance illustrated with vivid case material. Tools are provided for helping children and families understand termination and work through associated feelings of loss and grief. Challenges in creating positive endings to therapy with children who have experienced trauma and adversity are given particular attention. 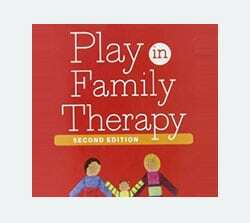 This classic volume, now completely revised, has helped tens of thousands of therapists integrate play therapy and family therapy techniques in clinical practice. Eliana Gil demonstrates a broad range of verbal and nonverbal strategies for engaging all family members--including those who are ambivalent toward therapy--and tailoring interventions for different types of presenting problems. Numerous case examples illustrate ways to effectively use puppets, storytelling, art making, the family play genogram, drama, and other expressive techniques with children, adolescents, and their parents. Gil offers specific guidance for becoming a more flexible, creative practitioner and shows how recent advances in neuroscience support her approach. Photographs of client artwork are included. Presenting an integrative model for treating traumatized children, this book combines play, art, and other expressive therapies with ideas and strategies drawn from cognitive-behavioral and family therapy. Eliana Gil demonstrates how to tailor treatment to the needs of each child by using both directive and nondirective approaches. Throughout, practical clinical examples illustrate ways to target trauma-related symptomatology while also helping children process painful feelings and memories that are difficult to verbalize. The book concludes with four in-depth cases that bring to life the unique situation of each child and family, the decision-making process of the therapist, and the applications of developmentally informed, creative, and flexible interventions. 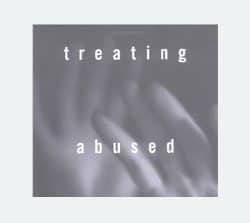 The first book to explore the issue of abuse in adolescents both the residual effects of earlier child abuse and current or cumulative abuse this volume provides a sensitive account of how to optimize the value of therapeutic contact with this challenging and compelling population. Illustrating her presentation with case examples from her extensive clinical experience, the author shows when and how to address the abuse to help adolescents move ahead in their development. 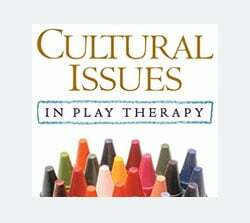 Helping therapists hone their skills for working with diverse children and families, this unique volume looks at play therapy through a multicultural lens. Experienced practitioners examine how cultural factors may influence the ways children express themselves through play, the feelings they associate with different activities, and the responses of children and parents to particular interventions. Filled with evocative clinical material, chapters highlight specific issues to consider when working with African American, Latino, Native American, and Asian American children. The book also provides suggestions for setting up a therapeutic playroom that is engaging and welcoming to all. 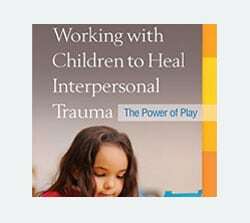 This book describes how therapists can both facilitate constructive play therapy and intervene in post-traumatic play to help children who have been traumatized by abuse or neglect achieve a positive resolution. Traditional techniques of play therapy are reviewed for their application to this population. Throughout, numerous therapeutic aids are described to enhance the child's capacity to communicate verbally or symbolically. To help clinicians translate theory into daily practice, the book presents six detailed clinical vignettes that offer step-by-step guidelines for assessment and intervention in different situations of abuse or neglect. Featuring in-depth case presentations from master clinicians, this volume highlights the remarkable capacity of traumatized children to guide their own healing process. The book describes what post-traumatic play looks like and how it can foster resilience and coping. Demonstrated are applications of play, art, and other expressive therapies with children who have faced such overwhelming experiences as sexual abuse or chronic neglect. The contributors discuss ways to facilitate forms of expression that promote mastery and growth, as well as how to intervene when play becomes stuck in destructive patterns. They share effective strategies for engaging hard-to-reach children and building trusting therapeutic relationships. 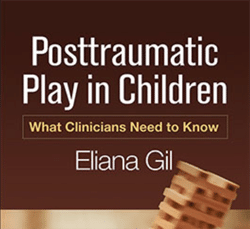 From leading expert Eliana Gil, this book provides child clinicians with essential knowledge and tools for evaluating and working with posttraumatic play. Dr. Gil guides the clinician to determine what is going on with a given child and intervene sensitively and effectively. 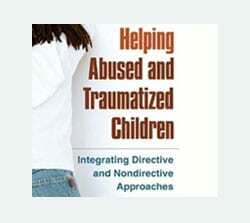 Evocative case material is interwoven with up-to-date information on the developmental impact of trauma and ways to facilitate children’s natural reparative capacities. A reproducible assessment checklist to help clinicians differentiate between useful. Self Esteem Shop is an independent bookstore that caters to mental health professionals and those they serve. While physically located in Royal Oak, Michigan, our staff travels across the continental United States to attend conferences in the mental health field. The Virginia Association for Play Therapy (VAPT) is a branch of the national Association for Play Therapy. VAPT was established in 1996 with 20 signatures from advocates of play therapy from around the state. We have grown to over 200 member and eleven chapters. 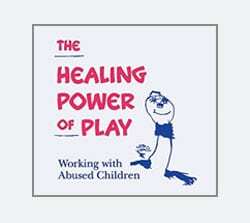 The Association for Play Therapy (APT) is a national professional society established in 1982 to foster contact among mental health professionals interested in exploring and, when developmentally appropriate, applying the therapeutic power of play to communicate with and treat clients, particularly children. The American Art Therapy Association, Inc. (Association) is an organization of professionals dedicated to the belief that making art is healing and life enhancing. Sandplay Therapists of America (STA) is a non-profit professional organization, whose purpose is to promote education, training and research in sandplay therapy.